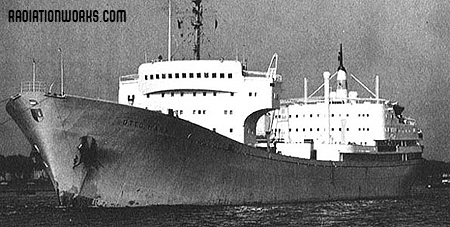 The Nuclear Ship (NS) Otto Hahn was Germany's contribution to the world's atomic fleet. The Otto Hahn was the world's second commercial atomic vessel and one of only four ever built. The NS Otto Hahn steamed under nuclear power for nine years, traveling more than 650,000 miles. The Otto Hahn would eventually have its nuclear power plant replaced with diesel engines and return to the seas under various names. This undated photograph shows the NS Otto Hahn being readied for sea.